“Given the electronic mode of communication which is now available with the police as well as the Delhi judiciary, we see no reason as to why the investigating agency should not resort to utilisation of e-transmission of the report to the jurisdictional magistrates concerned to ensure timely compliance of Section 157 of CrPC. This would effectively obviate all objections which are taken by the accused as well as convicts based on delay in compliance thereof. Most importantly, it would save valuable time and effort on the part of the investigating agency whose services are already stretched beyond capacity and limits. This compliance is mandatory at a stage when the police may be required to undertake critical investigation say recording of victim and eyewitness accounts, effecting searches and seizures, tracking accused,” the Bench comprising Justice Gita Mittal and Justice P.S. Teji observed. Under Section 157, the officer in-charge of a police station is required to send a report of the commission of an offence which he is empowered to investigate under Section 156 of CrPC to a magistrate empowered to take cognisance of such offence. The court noted that Section 157 was enacted when no e-transmission and Internet was available. “Today it can be argued that e-registration of FIRs and their being simultaneously put in the public domain would effectively be in compliance with the requirements of Section 157 of the CrPC,” it observed. The court mourned over the failure of the legislature to keep pace with the development in technology, as far as CrPC is concerned. Such amendments, it noted, have been introduced in the Evidence Act and in some other statutes. It marked compliance with the decision of the court in the case of Court of its own motion v. State, W.P. (Crl.) No. 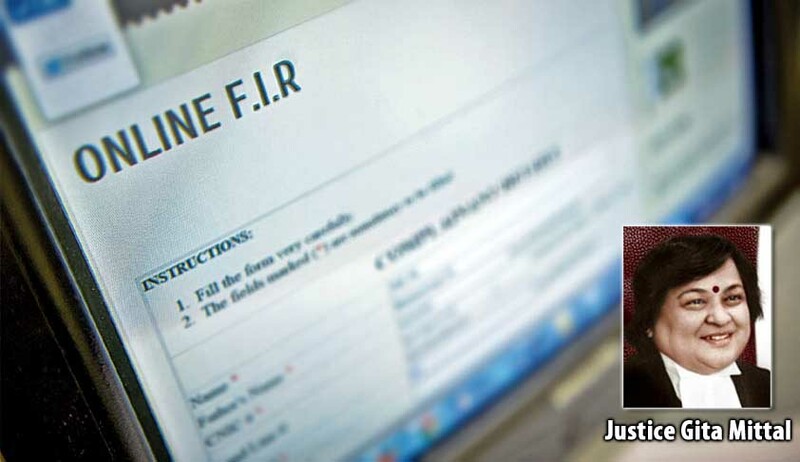 468/2010, wherein Delhi Police was directed to upload all FIRs on its website w.e.f. February 1, 2011. All FIRs, except those relating to sensitive matters such as sexual offences, offences pertaining to insurgency, terrorism and of that category and offences under the POCSO Act are, therefore, immediately uploaded on the Delhi Police website. It further observed that illegibly handwritten police documents may create impediments to effective investigation. It hence suggested that correctly typed documents be prepared as soon as possible after the event. The court, thereafter, directed that the order be forwarded to the Commissioner of Police, Delhi, as well as to the district judges of all districts to suggest the possibility and method of e-transmission of the reports, in compliance with Section 157, as also preparation of typed copies of investigation records. Meetings under the chairmanship of the district judge (headquarters) were directed to be convened for the purpose. It has been left open for the district judges (headquarters) to join the director prosecution and standing counsel (criminal) as well as any other person or authority who may be dealing with e-transmission processes in the courts in such deliberations. The district judge (headquarters) has been directed to place a report before the court within four weeks.